Artpark President George Osborne announced the 2013 schedule at a press conference Wednesday morning. "Since its inaugural season in 1974, Artpark has been providing a variety of quality entertainment that has made it the premier summer time destination for the people of Western New York and Southern Ontario," Osborne said. "This year in celebration of the park's 40th anniversary, the 2013 season will soar to new heights, bringing back performers who appeared during the opening season, alumni visual artists, and a full-blown stage production re-creating the opening night concert that was presented on July 25, 1974. Artpark's usual offerings of numerous family events, outstanding lineup of outdoor concerts, and a dazzling Broadway musical production are just a taste of the jam-packed summer schedule we will offer." The celebration begins with a gala evening on Saturday, June 1, in the new scenic Upper Amphitheater area overlooking the Niagara River gorge. Chaired by Laurie and Kent Frey and presented by Ivoclar Vivodent, this unique event will feature performances by Bobby Militello as well as Frankie Scinta and his orchestra. Highlighted by a silent auction and dinner by the chefs at Sinatra's, the 40th anniversary gala will benefit Artpark & Company's season programming. Visit www.artpark.net for information. 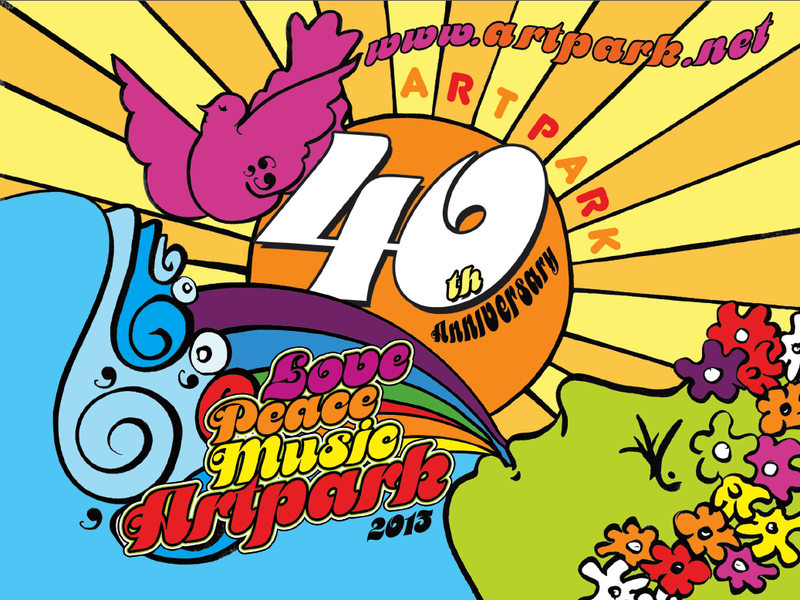 It all began one grand night in 1974 and Artpark invites patrons to live it again on July 25. A very special re-creation of the program that was presented on Artpark's opening night features JoAnn Falletta conducting the Buffalo Philharmonic Orchestra in a mix of classical favorites and Broadway hits. Sponsored by Jaeckle Fleishmann & Mugel LLP, this celebration concert will be hosted by television personalities Frey and Jack Armstrong and will spotlight special guest performers, including pianist Norman Krieger, Broadway star Michele Ragusa, dancers from the Neglia Ballet and the Festival Ballet of Providence, and conclude with a dramatic 1812 Overture accompanied by an array of special visual effects. Tickets for the "Artpark Opening Night 1974" event go on sale April 30 at 10 a.m. and are $45 for prime, $35 for section A and $25 for sections B and C seats. Ticket purchase includes free champagne. VIP tickets are available for $75 and include prime seating and access to a pre-show reception in the Artpark Gallery and a post-show reception on the Theater Terrace. Artpark is pleased to welcome two performers who appeared at the Mainstage Theater during its opening season as part of a "40th Anniversary Series." 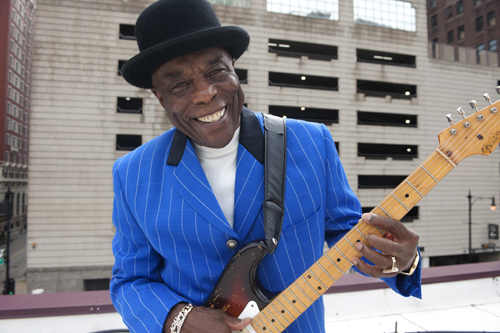 Buddy Guy will perform on Aug. 1 and Chick Corea on Aug. 2. Rock & Roll Hall of Fame member Guy, winner of six Grammys, the National Medal of Arts, and recognized by Rolling Stone Magazine as No. 30 on it list of the 100 top guitarists of all time, will be joined by special guest Robert Randolph and The Family Band on at Artpark's Mainstage Theater. Tickets go on sale April 30 at 10 a.m. and are $45 for pit and prime seating, $37 for section A, and $30 for sections B and C.
Winner of 20 Grammys, including this year's award for the "Best improvised Jazz Solo," Corea is back with all new music and a new band, The Vigil on Aug. 2 in the Mainstage Theater. Tickets are $45 for pit and prime seating, $37 for section A, and $30 for sections B and C. Tickets are on sale now. The "40th Anniversary Series" kicks off with a rare appearance of one of the best Jazz collaborations of all time on June 24 in the Mainstage Theater. Led by the iconic master of trumpet, Wynton Marsalis, winner of nine Grammys as well as a Pulitzer Prize for Music, the internationally acclaimed Jazz at Lincoln Center Orchestra make their Artpark debut, performing a vast repertoire of jazz classics. Ballet returns to Artpark after a 10-year absence in a stunning production of ballet's greatest comedy, "Coppélia," on Aug. 17. Two Mainstage Theater shows will be offered, at 2 and 8 p.m. 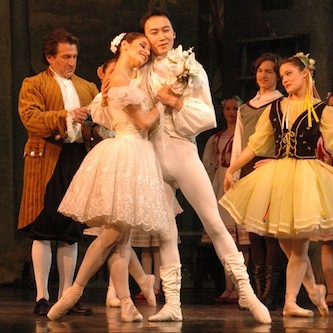 Presented by The Greater Niagara Ballet Co., "Coppélia" is the charming tale of mistaken identity, a beautiful mechanical doll and true love with a delightfully engaging score that will amuse audiences of all ages. Tickets are on sale now and are $40 for grand tier center sections and $25 for grand tier wings and first tier. A limited number of VIP tickets are available, and include a post-performance meet-and-greet reception. Contact the Artpark Box Office at 716-754-4375 for children and group discounts. Coppélia is sponsored by KeyBank and The National Ballet Institute through a grant from The Oliver G. & Sarah Sloan Bauman Fund for the Arts. Throughout the '70s and '80s, Artpark was renowned as a major visual arts destination during the venue's popular "Artists in Residence" program. Hundreds of artists journeyed to Artpark's inspirational setting to create on-site installations throughout the park. This summer, Artpark welcomes the works of 40 alumni artists from its long and distinguished visual arts history. The "40 for 40: Artpark Alumni Artists 40th Anniversary Celebration" will feature an exclusive Artpark Gallery exhibit, filled with drawings, paintings, sculptures and video by select alumni artists July 1 through Sept. 15. Artpark Gallery admission is free, check www.artpark.net for hours. The celebration continues with 10 artists constructing on-site installations throughout Artpark starting in May and ending in September. The permanent installations are free to view and spectators are encouraged while the artists are working in the park. Visit www.artpark.net for an installation schedule. Artpark will host a "Meet the Artists" reception featuring several of the outstanding artists from the first 40 years in conjunction with the "Opening Night 1974" concert with the BPO on July 25. The pre-show reception will be held in the Artpark Gallery beginning at 6:30 p.m. Tickets can be purchased for the artist reception for just $10. May-September"40 for 40: Artpark Alumni Artists 40th Anniversary Celebration"
Artpark alumni artists featured in "40 for 40" are: Polly King, painting (first appearance: 1974); Ant Farm, avant-garde site-specific installation and performance (1975); Christopher Canole, sculpture and drawing (1975); Dale Chihuly, glass sculpture (1975); Dennis Oppenheim, glass sculpture (1975); Jody Pinto, public works and drawing (1975); Alan Sonfist, site-specific sculpture (1975); Bill Stewart, clay sculpture and performance (1975); James Surls, sculpture (1976); Connie Zehr, installation and prints (1976); Electron Movers: Laurie McDonald, light installation and Alan Powell, video installation (1977); Harriet Feigenbaum, sculpture and film, (1977); James Hill, sculpture and photography (1977); Joe Ferrell Hobbs, sculptural performance painting (1977); John Alberty, sculptural performance and relief sculpture (1977); Martin Puryear, sculpture and works on paper (1977); Tim Whiten, sculpture (1977); Joan Zalenski, installation sculpture (1977); Alice Adams, public projects and sculpture (1978); Robert Wade, sculpture and photography (1978); John Willenbecher, sculpture/performance/painting (1978); Barbara Zucker, sculpture and photography (1978); Rosemarie Castoro, sculpture (1979); Carla Wilczak, sculpture (1979); Nene Humphrey, sculpture/drawing/printmaking (1980); Robert Lyon, sculpture (1980); Bill Buchen, installation sculpture (1981); Mary Buchen, installation sculpture (1981); Alan Finkel, sculpture (1981); Nade Haley, installation (1981); Robert Taplin, sculpture (1981); Hera, sculpture and painting (1982); John David Mooney, installation (1982); Wilma Needham, printmaking and installation (1982); Jeffery Brosk, installation and wood sculpture (1983); Miho Sawada, installation and sculpture (1983); Lauren Ewing, sculpture (1984); John D. Morton, sculpture (1984); Dennis Oppenheim, sculpture and performance (1984); Scott Pfaffman, sculpture (1984); James O. Clark, sculpture and light (1986); Maren Hassinger, sculpture (1987); Bill Buchen, installation sculpture (1988); Mary Buchen, installation sculpture (1988); Thomas Mullany, sculpture and public work (1989); Mags Harries, installation and sculpture (1990); Louis Hock, public art installation and film (1990); and Scott Bye, sculpture (2011-12). Visit www.artpark.net for Artpark Gallery hours and installation schedule. Artpark's third annual Fairy House Festival is the perfect day for families to get together and get creative. Held June 9 from noon until 5 p.m. in Artpark's lower park, the Fairy House Festival is an event filled with hands-on art activities; numerous tiny fairy house creations locally designed by schools, Scout troops and community youth groups; special live performances; an artist-created exhibit of fairy houses; storytelling and surprises. The day's events will feature internationally renowned author Tracy Kane, and include unicyclists, stilt walkers, a unicorn, a kazoo parade and performances by the Hill Brothers and Lewiston Dance. Visit www.artpark.net for Fairy House Festival details. Tickets are $5 in advance ($6 at the event) and are on sale now. The Fairy House Festival is presented by Elks Lodge No. 346 (Niagara Falls). Artpark thanks festival community sponsors Gorge Travel, Angel to Apple, Artzee, Opportunities Unlimited and the Lewiston Community Lions Club. After a successful launch of a new ticketed format and a renovated Outdoor Amphitheater, "First Niagara presents Tuesday in the Park" (June 4-Aug. 27) is back for 12 weeks of concerts (no event scheduled for July 2). New non-smoking areas will be designated in the Outdoor Amphitheater, and a third giant video screen and enhanced sound reinforcement are being added to improve the overall concert experience. 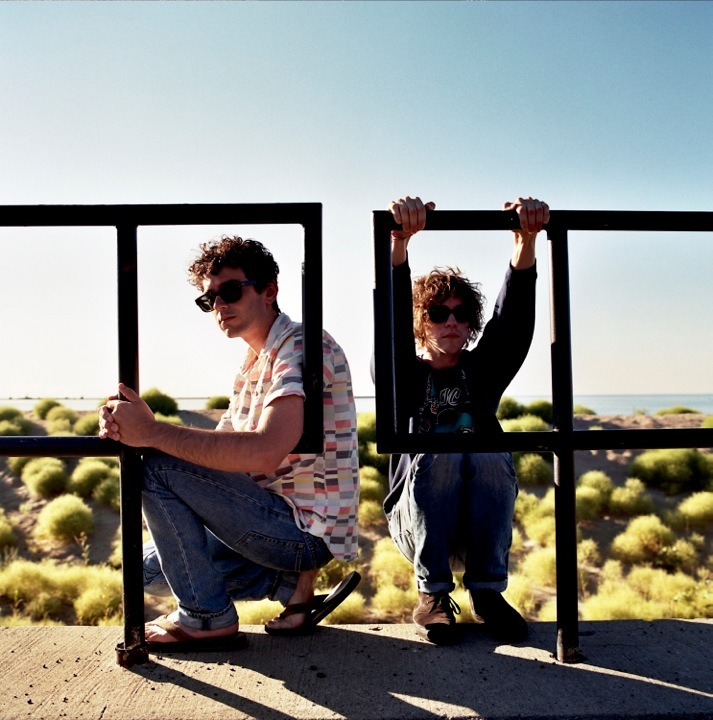 The 2013 "Tuesday in the Park" concerts begin at 6:30 p.m. and are presented by First Niagara. "First Niagara is proud to be a long-standing community partner of Artpark," said First Niagara Digital Marketing Director and Artpark board member Thomas Bontempo. " 'Tuesday in the Park' has grown to become Western New York's most successful summer series, drawing thousands from our region. We support the Tuesday series so that Artpark can support the community. This year's 40th anniversary season promises to be bigger than ever, and we are excited to be a part of it." 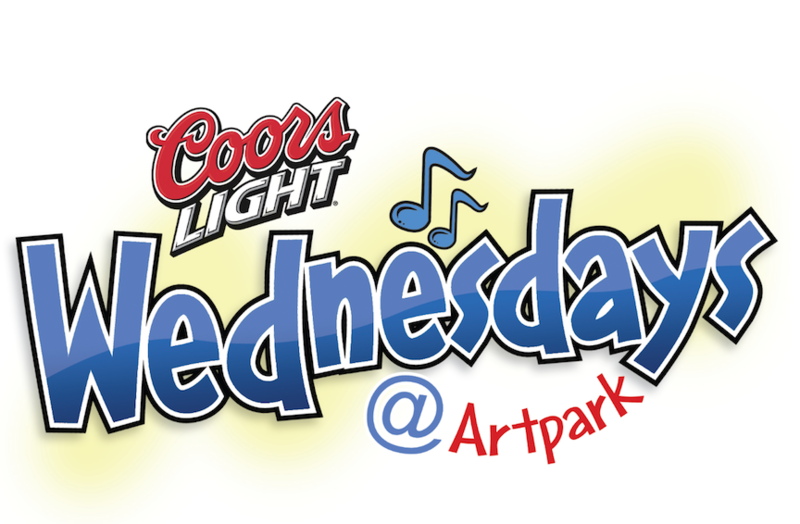 The "Coors Light Wednesdays at Artpark" series (June 12-26; July 10-17) has been elevated to a new level of excellence and will feature premier jam and adult contemporary bands following the same ticketed format as "Tuesday in the Park." Most tickets will be $5 in advance, $10 week of the concert, with one "Wednesday" concert priced at $10 in advance and $15 the week of the concert (MGMT). *** O.A.R. 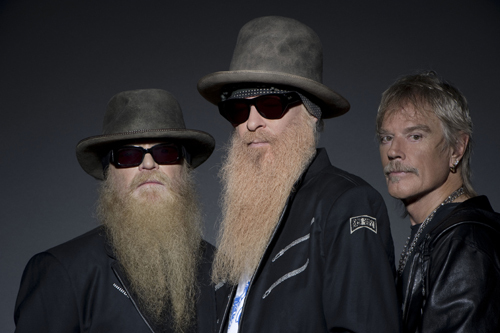 concert will begin at 5 p.m., gates open at 4 p.m. 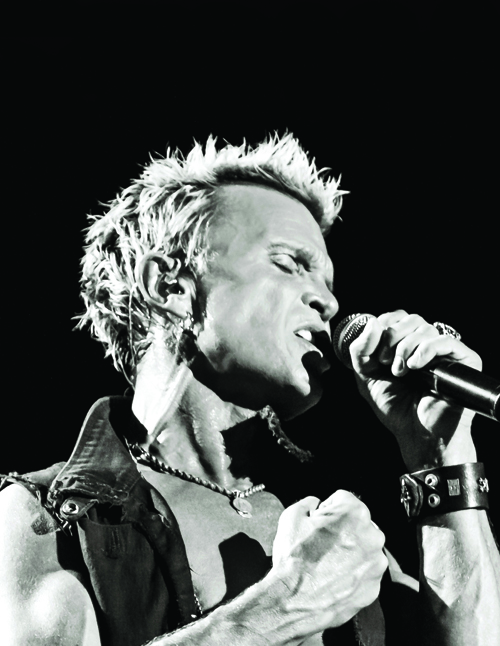 The Outdoor Amphitheater will open to the public at4:30 p.m. on Tuesday and Wednesday concert nights. Carry-ins and tailgating in the park are prohibited. Visit www.artpark.net for a directions, alternate traffic routes, and parking information. Special events scheduled in Artpark's Mainstage Theater include "An Evening with The Avett Brothers" on May 24, and Marianas Trench on June 15. Tickets for these Funtime Presents events are on sale now. 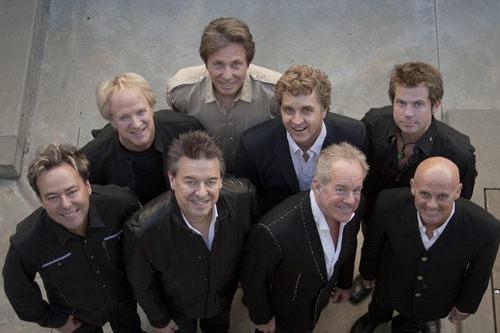 Visit www.artpark.net for ticket information. A late addition to the lineup is former "America's Got Talent" singer Jackie Evancho. 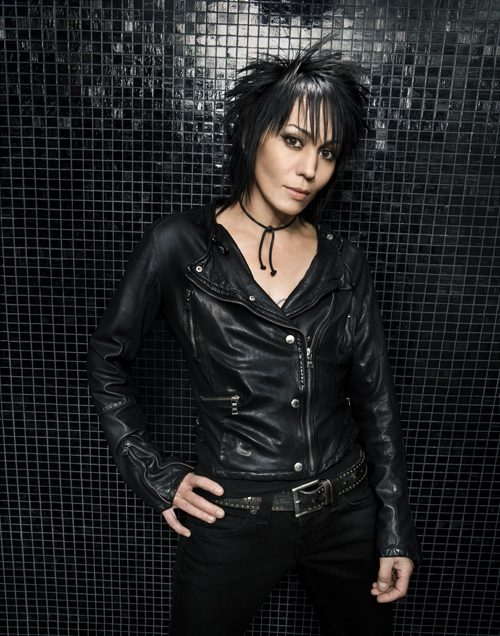 She will perform inside the Mainstage Theater on June 28. Get moving this summer with Independent Health and YMCA of Buffalo Niagara's "Fitness in the Parks" - a free program running June 26-Aug. 31 designed to encourage all Western New Yorkers to stay on track with their fitness goals. "Fitness in the Parks" at Artpark will feature Pilates classes on Wednesdays and Zumba on Saturdays. Everyone is welcome to participate in these free, 60-minute outdoor fitness classes, taught by YMCA certified instructors. No registration is required. The hills at Artpark will be alive with "The Sound of Music" for eight performances this July. The classic musical was first presented at Artpark in 1977, starting the tradition of major Broadway musical productions at the summertime venue. Eight performances of "The Sound of Music" will be presented in the Mainstage Theater July 11-19 and will star Emilie Renier, who played the title role in last season's production of "Cinderella." This classic and endearing musical is based on the book "The Story of the Trapp Family Singers." The 1965 film version starring Julie Andrews is regarded as the most popular movie musical of all time. It features an unforgettable Rodgers & Hammerstein score, including "My Favorite Things," "Do-Re-Mi" and "Climb Every Mountain." Artpark's production will be directed by Randall Kramer and choreographed by Lynne Kurdziel-Formato, with musical direction by Jason Bravo. Friday, July 12, 8 p.m.
Saturday, July 13, 2 p.m.
Wednesday, July 17, 2 p.m.
Thursday, July 18, 2 and 8 p.m.
Friday, July 19, 8 p.m. Ticket prices for adults are $49.50, $42.50, $35 and $25. Children's tickets (ages 12 and under) are $24.75, $21.25, $17.50 and $12.50.Group discounts are available. Tickets are on sale now and can be purchased in person at the Artpark Box Office, by phone at 716-754-4375 and 1-888-223-6000, or online at www.artpark.net and www.tickets.com. 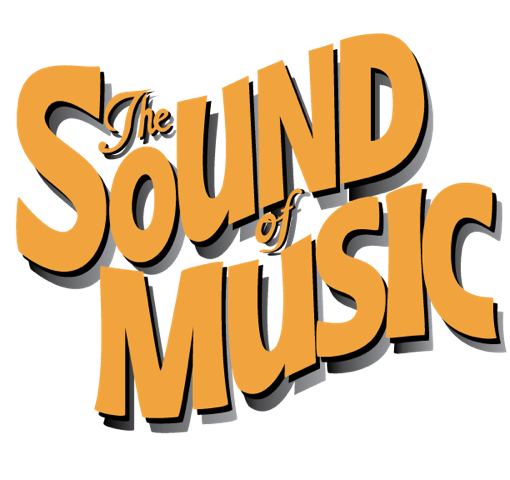 Artpark's production of "The Sound of Music" is presented by M&T Bank. Annual Broadway production season sponsor support is provided by Delta Sonic. The Dallas Children's Theater will bring its national touring production of "The True Story Of The 3 Little Pigs!" to the Artpark Mainstage Theater on May 22. Two hilarious performances will be presented at 10 a.m. and 7 p.m., with tickets at just $7. Tickets are on sale now. Based on the popular book by John Scieska and Lane Smith ("The Stinky Cheese Man" and "Other Fairly Stupid Tales"), the play begins where the book leaves off. Alexander T. Wolf, a.k.a. Big Bad, finally gets to tell his side of the story and you, the audience, determine the ending of the play in this rock-hip-hop-ity musical that will blow the hair off your chinny chin chin. For families, Artpark is the place to be every Saturday in July, with "Free Family Saturdays" (July 6-27) sponsored by Catholic Health. These events offer visitors the unique opportunity to enjoy delightful live performances and partake in a collection of art workshops under the guidance of professional artists. Activities, including the "Costume Closet," "Paint Space," the pottery wheel, still-life drawing and temporary tattooing, are all tailored toward a particular theme for families to enjoy together each week in the Outdoor Amphitheater. An artisan market will be open, and Amy's Place Food Truck will be on-site each week for families to purchase snacks. July 6 "Art Workshops of the 70s!" July 13 "Art Workshops of the 80s!" July 20 "Art Workshops of the 90s!" July 27 "21st Century Art Workshops!" Artpark's popular summer camps for children and teens offer exploration into the arts. Artpark is a place for young artists, musicians and aspiring performers to perfect their skills. Each camp concludes with a camper-created concert/art show/theater performance. Camp fees are $250 per session. Full payment is due upon registration. Lewiston residents receive a 10 percent discount on camp fees. Informational brochures and registration forms are available online at www.artpark.net or by calling the Artpark Box Office at 716-754-4375. Grab your chairs and flashlights and head to Artpark's Outdoor Amphitheater on July 29 at 8 p.m. for the sixth annual "Free Family Movie Night." 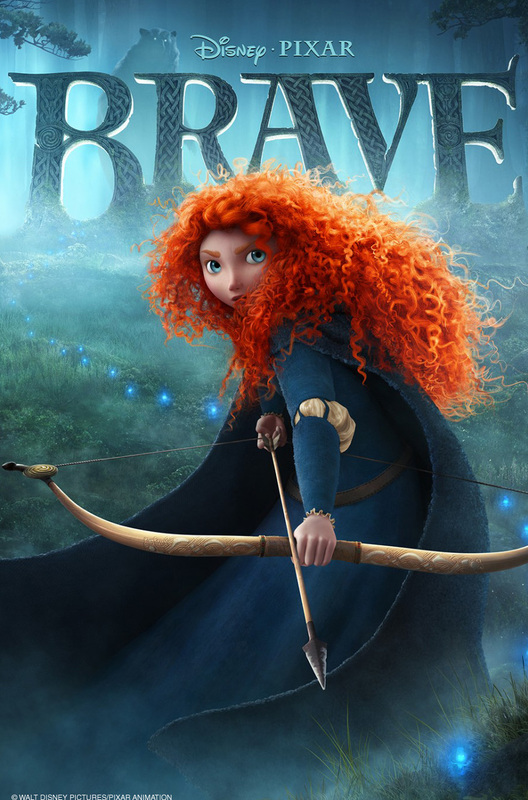 This year's feature film is Disney Pixar's "Brave." Experience the magic of the 2012 Academy Award winner for Best Animated Feature on a giant Jumbotron screen under the stars. The Lewiston Kiwanis Club sponsors this family evening event. Artpark & Company Inc. is a 501 (c) 3 nonprofit cultural arts and education organization that serves the people of Western New York and Southern Ontario. The Earl W. Brydges Artpark is operated by Artpark & Company for the New York State Office of Parks, Recreation, and Historic Preservation under a license agreement. For more information, call Artpark Box Office at 716-754-4375 or visit www.artpark.net to download a season brochure.